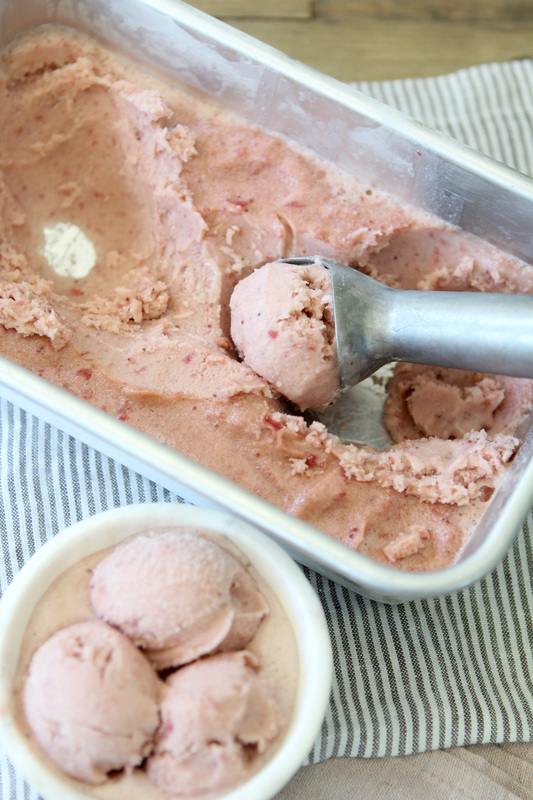 This Dairy-Free Strawberry Ice Cream is brought to you in collaboration with California Strawberries. It’s the perfect sweet treat to indulge in that won’t leave you feeling anything less than sweet. Want to know something that I’ve realized over the last week? Everybody loves strawberries. Sorry Raymond, but it’s really strawberries that everybody loves. Grown-ups, kids, grandmas, dogs, everyone. Truly, have you ever met anyone that said, “No thank you, I don’t like strawberries.”? Neither have I.
Thankfully, California Strawberries are such a fun, versatile and healthy food to add into our diets and they’re available year around. Whether it’s eating them straight up or adding them to a salad (like my Strawberry + Arugula Salad with Champagne Vinaigrette), baked goods, or even a margarita, the ways to get your “8-a-day” in are endless. Did you know that one serving of strawberries contains more vitamin C than an orange? 140% to be exact. And even better, despite being sweet they’re naturally low in sugar. One serving of strawberries has half the amount of sugar of an apple. In addition, strawberries are loaded up in antioxidants, phytochemicals fiber and potassium. 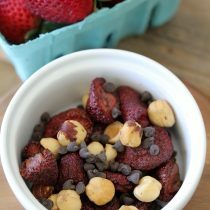 And while California strawberries are available year around, summer is just around the corner and nothing screams “summer” better than a bowl of fresh strawberries. And ice cream. Summer always comes with ice cream. 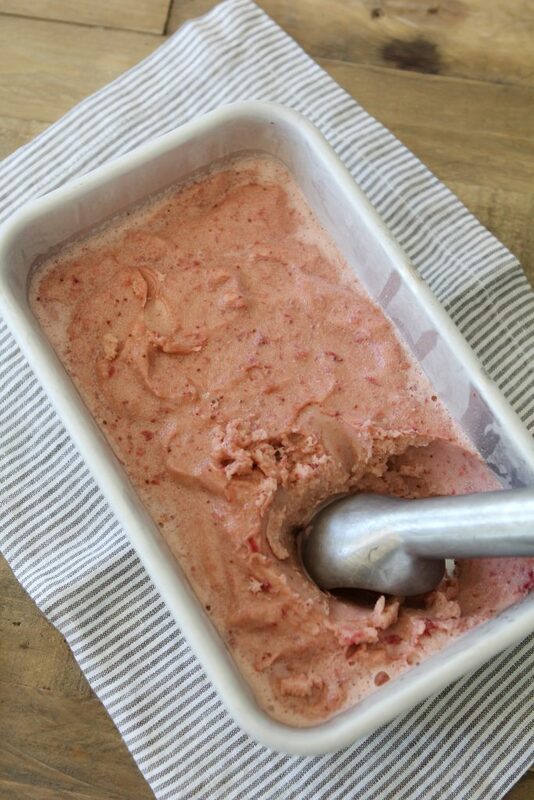 And because of that, I decided to create the perfect Dairy-Free Strawberry Ice Cream using California strawberries that you can indulge in guilt-free all summer long. I’m not going to lie, creating a dairy-free ice cream that wasn’t overly icy was no easy feat. Alternative milks tend to have a higher water content than traditional dairy and tend to make an “icy” ice cream. In addition the water content for those beautiful juicy strawberries can add to that iciness. So here’s how I fixed that problem… First, I added some eggs to the ice cream base to create more of a “custard” and make the base a bit creamier. And second, I reduced the strawberries down over some heat to remove some of the liquid and concentrate the strawberry flavor. When the ice cream is done, I filled up a large freezer-proof jar and store it in the freezer. We can dig in at any time. As far as the ice cream maker, any will work. Purchasing an ice cream maker has been such a wonderful thing in our family. Dairy-Free ice creams can get a bit pricey at the grocery store and are often loaded up with undesirable ingredients. By making it at home we’ve been able to save money, get creative with flavors and control the ingredients of the ice cream. 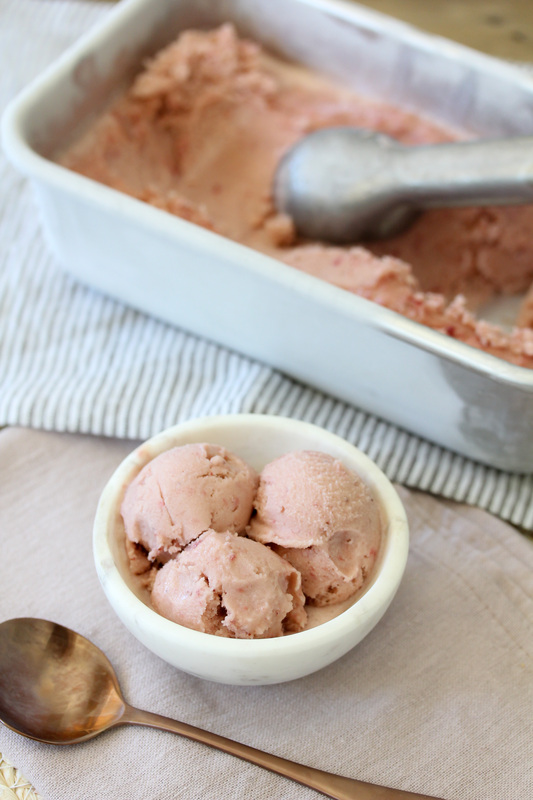 This Dairy-Free Strawberry Ice Cream is the perfect example of that. 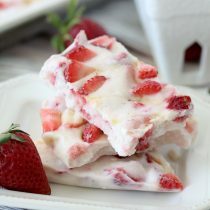 Not only were we able to add fresh California strawberries to it, but I was able to omit the refined sugar by using honey instead and use nothing but simple ingredients. Next time you grab a giant flat of California strawberries don’t forget this recipe, it’s the perfect way to use up those last few strawberries that you don’t want to go bad. 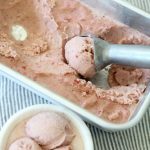 Some other ways to use them include my Strawberry Coconut Bon Bons and 3-Minute Strawberry Mug Cake, both are sure to win your heart and tummy. How do you guys get your 8-a-day in? 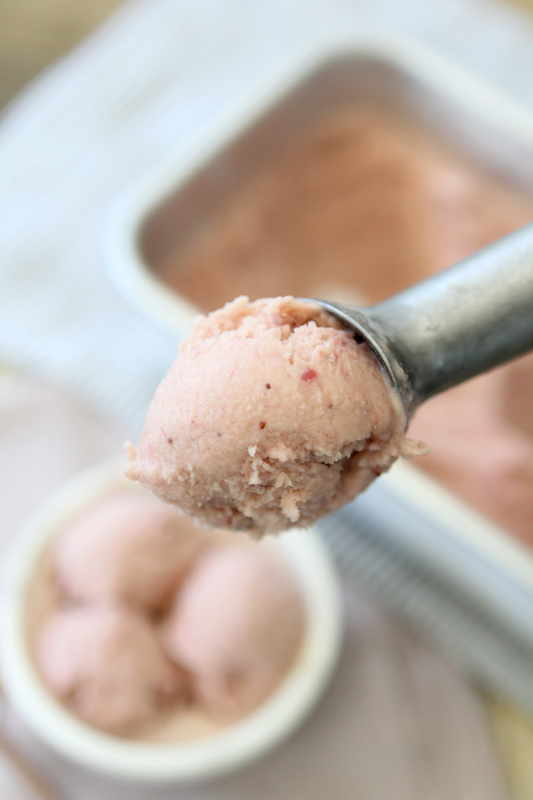 A dairy-free ice cream from the Whole Smiths made with simple, whole ingredients. Loaded with fresh strawberries and a touch of honey. 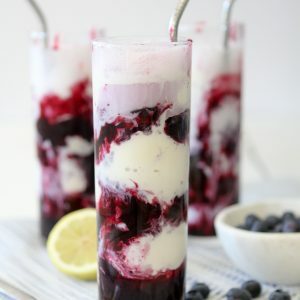 Perfect for hot summer nights! In a medium saucepan, combine the almond milk, 1/2 cup of honey, coconut milk and vanilla extract. Whisk the ingredients over medium heat. Once it is hot, slowly drizzle the beaten egg into the saucepan vigorously whisking. Continue to whisk for 3 to 4 minutes, pour into a large bowl and set aside to cool. Meanwhile, add the strawberries, remainder of the honey and lemon juice to a large saucepan over medium heat. Frequently stir the strawberries as the fruit breaks down. Continue to cook and reduce the strawberries down until they are a jam-like consistency, about 10 minutes. Add the strawberries to the large bowl with the ice cream base and whisk in the strawberries. Let the ice cream base come to room temperature. Once it is at room temperature, add the ice cream base to your ice cream maker and follow manufacturers instructions. What would you do if you couldn’t use almond milk? I’m allergic to almonds.